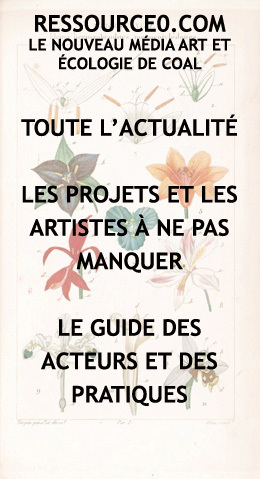 COAL, the Coalition for Art and Sustainable Development, was founded in 2008 by a group of French professionals working in the fields of contemporary art, sustainable development and research in order to promote the emergence of a culture of ecology. COAL organizes and curates contemporary art exhibitions and cultural events on the issues of sustainable development (UNESCO, La Villette, la Gaîté lyrique, FIAC, Domaine départemental de Chamarande, the Natural History Museum, the Museum of Hunting and Nature, Berges de Seine…). 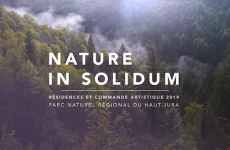 COAL organizes an annual Art and Environment Prize, supports artists through artistic accompaniment and production support (public commissions, 1% artistique …) and contributes to the transformation of territories with its Laboratory of Sustainable Culture. COAL actively participates in the implementation of the national action strategy on the topic, through its cooperation with the French ministries of Environment and of Culture, through European cooperation (as the French representative of Imagine2020 and Creative Climate Leadership networks), through its consultancy services, public lectures, publications and the daily update of Ressource0, the primary online resource platform dedicated to both national and international initiatives that link art and ecology. Over a decade COAL has become the leading French actor in the expanding crossover between culture and sustainable development. COAL took its place on the forefront of this emerging field when, in 2015 COAL implemented ArtCOP21, the cultural festival surrounding the COP21. 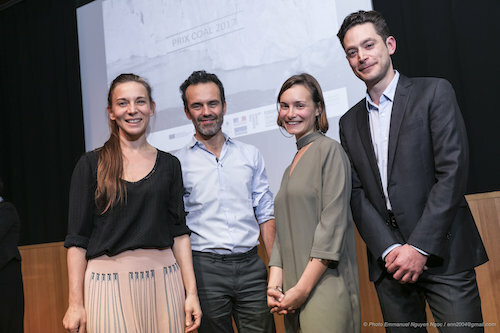 With more than 550 events registered, 54 countries represented, numerous public art installations and almost 250 international artists and professionals gathered at Gaîté lyrique in Paris for the Conference of Creative Parties, COAL managed to secure a place for art and culture on the agenda of ecological transition. Lauranne Germond, Co-Founder and Director (COAL) / Associate Curator at Domaine de Chamarande / Exhibition Curator specialized in sustainable development / Former Associate and co-Director of Nuke magazine art gallery and design office / Former project for MPG Art / Degree in Art history (Louvre). Loïc Fel, co-Founder (COAL) / Philosopher / BETC’ Sustainable Development Director / Author of “L’Esthétique Verte” (Champ Vallon, 2009) / Doctor of Philosophy Paris -Sorbonne on aesthetics and ecology. Agathe Utard, co-Founder (COAL) / Landscape Gardener / Philosopher / Consultant in sustainable development and social innovation / Former head of strategic projects of Fédération des conservatoires botaniques nationaux / Asia Project Manager for Cécile Léon art projects / Master’s degree in philosophy, Paris1 – Sorbonne / Master of Geopolitics, HEI-Paris / Master of Landscape, Uni-Genève. Clément Willemin, co-Founder (COAL) / Landscape Gardener DPLG / Partner and manager of BASE Agency / Visual artist (decorative arts ENSAAMA Olivier de Serres). Déborah Sommers, with over 25 years experience as a graphic designer and art director, in the US, Hong Kong and Paris, deborah Sommers runs Outdoorz Gallery. The graphic look to many of the pieces reflects her own style which leans towards clean modern lines, quirky original designs, and recycled or sustainable materials when possible. Her graphic sensibility is aslo reflected in the web site and communication materials which play an integral role in the running of the gallery. Anaïs Roesch, is graduated from the Institut Etudes Politiques de Grenoble. She is interested in issues related to culture and ecology in an international perspective and has had occasion to work in Latin America with the Ministry of Culture and UNESCO, in Bolivia or with people Native to Chile. She searches to link art and politics around issues of contemporary society. She is currently responsible for the development of mediation actions hors-les-murs to Centre Pompidou. COAL was founded in France in 2008 by Alice Audouin, Loïc Fel, Lauranne Germond, Guillaume Robic, Agathe Utard and Clément Willemin.